is a spoken word poet and educator from Western Sydney. He is a finalist of NSW Poetry Slam, Sydney Slam and Bankstown Grand Slam, and an otherwise humble person when he isn’t writing bios. Over the past five years he has become part of the furniture at Enough Said Poetry Slam, and is now a proud member of their organising committee. Elliot has performed his work at Wollongong Writers Festival, Viva La Gong, Parramatta Poetry Slam, Poetica, BAD!SLAM!NO!BISCUIT!, Sydney Writers’ Festival, TEDxSydney and the Museum of Contemporary Art Australia. His poetry was selected to feature in Baby Teeth Journal’s August 2018 publication, and he will perform at the National Young Writers’ Festival this September. 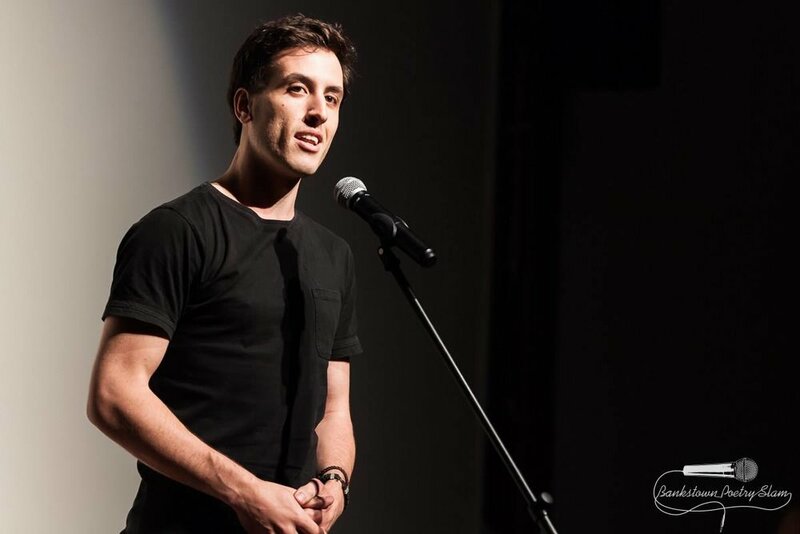 Elliot has recently combined his love for poetry with his passion for education, leading poetry workshops in Wollongong and Western Sydney. Join Elliot for Poets of Tomorrow event.